What is an Operational Support Officer (OSO)? 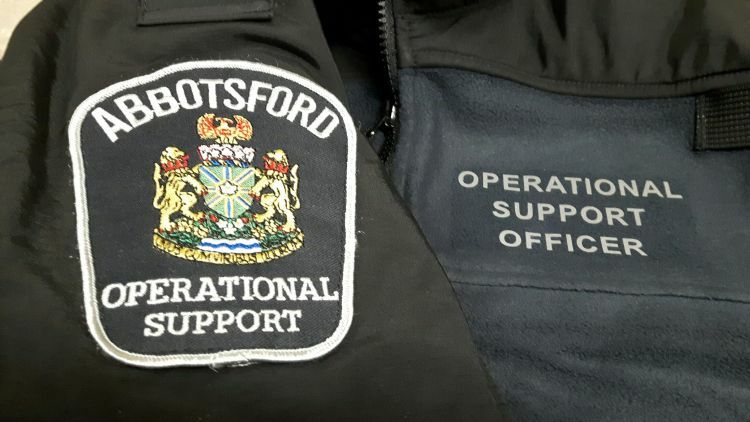 An Operational Support Officer is distinct and separate from the regular police members at the Abbotsford Police Department. An OSO has restricted peace officer status, but is not a police officer. OSOs are primarily assigned to, and directly support, one of the 4 operational Patrol shifts at APD. OSOs perform specific, authorized duties under the direction of a regular police officer. What is the purpose of the OSO? The primary purpose of the Operational Support Officer is to assist the regular police members of the Abbotsford Police Department by completing lower-level, lower-risk tasks, as directed by the regular police members. Acting in their support capacity, OSOs help to maximize the available proactive policing time of the regular members. On their own, OSOs can also complete proactive tasks within the approved guidelines of the position. OSOs can also be tasked to assist with community and public events throughout Abbotsford. What duties do OSOs perform? OSOs assist regular patrol officers with various tasks. This includes, but is not limited to, picking up statements, outside perimeter security at police incidents, assisting with traffic control, and assisting with the transportation and tagging of property. In addition, OSOs would be available to provide support during large-scale deployments, major events, emergencies or disasters. The OSOs work 12-hour shifts on a 4-on, 4-off schedule. Training consists of 4 weeks of classroom activities, as well as practical hands-on training, and a ride along component. All training is done at the Abbotsford Police Department. The training covers a broad spectrum of duties, in order to prepare the OSOs for the many tasks they will be performing.